A decade prior to the Seneca Falls Convention, black and white women joined together at the 1837 Anti-Slavery Convention in the first instance of political organizing by American women, for American women. United by their determination to reshape a society that told women to ignore the mechanisms of power, these pioneers converged abolitionism and women's rights. Incited by "holy indignation," they believed it was their God-given duty to challenge both slavery and patriarchy. Although the convention was written out of history largely for both its religious and interracial character, these women created a blueprint for an intersectional feminism that was centuries ahead of its time. 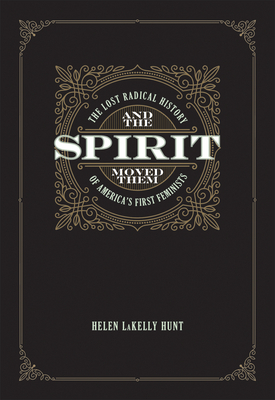 Part historical investigation, part personal memoir, Hunt traces how her research into nineteenth-century organizing led her to become one of the most significant philanthropists in modern history. Hunt's journey to confront her position of power meant taking control of an oil fortune, being deployed on her behalf but without her knowledge, and acknowledging the feminist faith animating her life's work. Helen LaKelly Hunt, PhD, is a philanthropist, activist, and scholar. She helped found several organizations, including the Sister Fund, Women Moving Millions, and the Women's Funding Network. She is the author of Faith and Feminism and the coauthor of bestsellers including Giving the Love That Heals and Making Marriage Simple. Helen LaKelly Hunt, PhD, is a feminist philanthropist, activist, and scholar. The founder or co-founder of several organizations including the Sister Fund and Women Moving Millions, she also developed, with husband Harville Hendrix, the Imago mode of relationship therapy. She is the author of Faith and Feminism and the coauthor of bestsellers including Giving the Love That Heals and Making Marriage Simple. Cornel West is a prominent and provocative democratic intellectual. He is a professor of philosophy and Christian practice at Union Theological Seminary and professor emeritus at Princeton University. He is best known for his classics, Race Matters and Democracy Matters, and for his memoir, Brother West: Living and Loving Out Loud. Dr. West is a frequent guest on the Bill Maher Show, Colbert Report, CNN, C-Span, and Democracy Now.